It's an archaic way of thinking - unless it's imposed upon conservatives, then it's OK. It's this notion that commentators that are right-of-center should know their place - that place being only in the realms of talk radio or on the Fox News Channel. Otherwise, it is unacceptable. 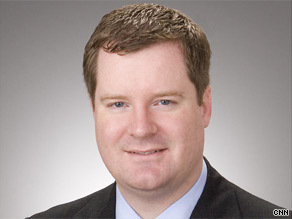 Now Politico has joined the fray and is taking news tips from left-wing storefronts that have staked out RedState.com founder Erick Erickson's Macon, Ga. radio show on Newstalk 940 WMAC, to capture any sort of gotcha moment to embarrass Erickson. And all of this seems to have been spurred on by CNN's announcement last month that Erickson would be a network contributor. At issue is Erickson's claim he would pull a shotgun on an American Community Survey (ACS) worker, an organization that is part of the U.S. Census Bureau, if he attempted to approach his home. However, Erickson's statement has been framed by his critics that he is attempting to prevent the Census Bureau from fulfilling a constitutional requirement, and that has been deemed "threatening" by Andy Barr of Politico in an April 2 post. "CNN contributor and prominent Republican blogger Erick Erickson is threatening to pull out a ‘shotgun' to scare away census workers," Barr wrote. Erickson has responded by saying the left has been trying to frame him as "advocating killing census workers," which he claims is misconstrued. Still, Barr saw this as something of continuation of behavior, which Erickson has since apologized for on CNN's March 28 "Reliable Sources." "Despite having a history of inflammatory rhetoric - he once called retired Supreme Court Justice David Souter a ‘goat f-ing child molester' - Erickson was touted by CNN as an ‘agenda-setter' who is ‘in touch with the very people' the network hopes to reach when they signed him to provide commentary in March." This is the latest in a bizarre series of attacks from left-wing pundits and their heroes, including Comedy Central's Jon Stewart against Erickson that are questioning CNN's decision to bring him on board. This same high standard the left wants to apply to Erickson is lacking when it has come to other so-called "occasionally foul-mouthed" liberal media personalities - like Janeane Garofalo, Joy Behar (who has her own show on CNN's sister network HLN) or HBO's Bill Maher, who is a regular guest on MSNBC, CNN and also the alphabet broadcast network's late-night programming.